Click here to book from a selection of Moncton hotels. 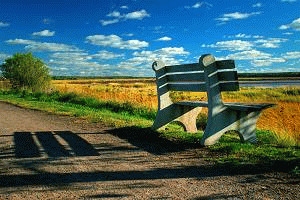 Moncton is found in the Petitcodiac River valley in southeastern New Brunswick, 55 km (34.2 mi.) from the Nova Scotia border. The Moncton area is home to around 126,500 people. Located at the geographic center of the Maritime Provinces, the city is nicknamed "Hub City" and historically has been Atlantic Canada's transportation hub. Moncton's economy is strong and diversified and includes transportation, technology, call centres, finance, insurance, and health care. Moncton bustles on the shores of the Petitcodiac River. Tidal Bore Park offers sights of the 6 inch ripple caused on the river at tide change by the Bay of Fundy pushing water against the normal flow of the river. Another natural phenomenon is found on Magnetic Hill, where cars in neutral seem to coast uphill when they're really going down hill. The Magnetic Hill area includes Atlantic Canada's largest zoo and biggest water park, and an outdoor concert site. Culture is alive in Moncton with the Atlantic Ballet Theatre, a Conservatory of Music, and the restored 1922 Capital Theatre. Retail malls include the indoor amusement park Crystal Palace complex. Moncton hosts The Atlantic Seafood Festival every August and The World Wine and Food Exposition every November. As well, The Atlantic Nationals Automotive Extravaganza, the largest annual gathering of classic cars in Canada, is held every July.